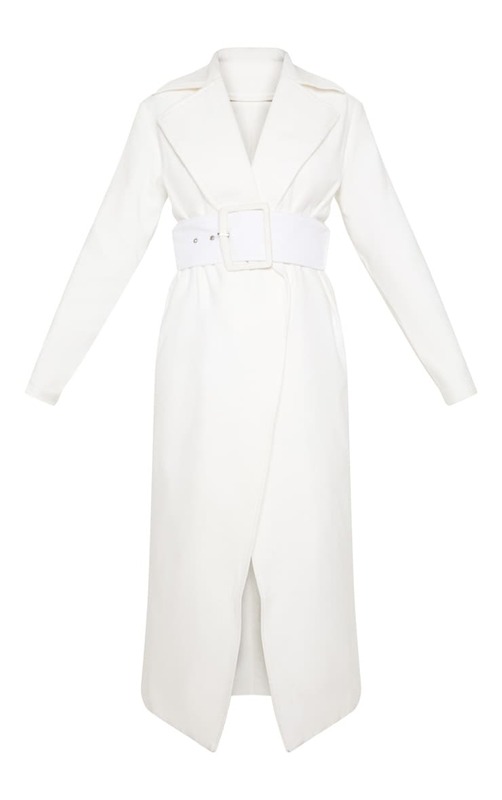 This belted coat is perfect to elevate your look doll. Featuring a cream material with an oversized belt detail and a maxi length. Team this with any day or night look for a look we are loving.